Uganda YMCA was founded 54 years ago with the main thrust to develop programmes that would prepare and shape the youths into good productive citizens guided by Christian principles. Overall, this mission was expected to be attained through numerous programmes, such as vocational and technical, indoor and outdoor as well as community-based projects offered by various YMCA branches spread in most areas of the country. The YMCA branches include; Kampala, Jinja, Mukono, Mbarara, Kasese and Mbale. Each of these branches has recognized administrative structure co-ordinated by the Uganda YMCA National Secretariat which also in turn is supervised by the National Executive Committee and other YMCA National systems. Important to note is also the fact that each of these branches offer vocational and technical skills programmes, though at a lower level than that of the YMCA Comprehensive Institute. 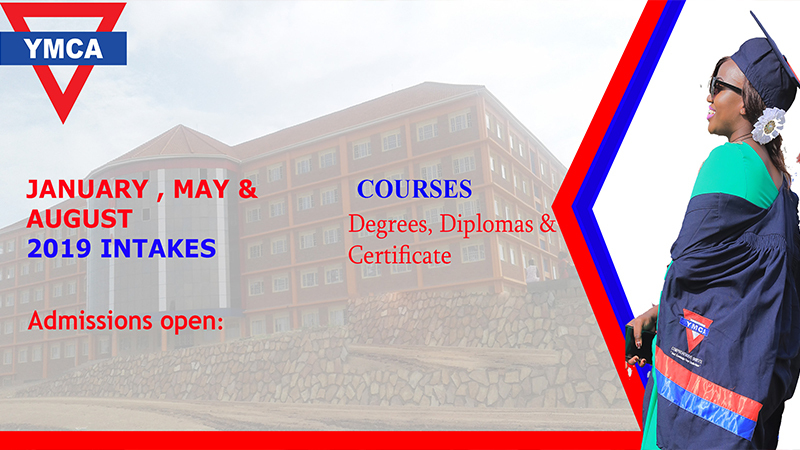 YMCA Comprehensive Institute is a registered and classified Higher Tertiary Institution by the National Council for Higher Education (NCHE) in Uganda. The Institute was started in 1986 to prepare and equip the youths (especially those who had dropped out of the academic line) in vocational and technical skills programmes. Since that time (1986) to date, the Institute has steadily continued to educate this category of clientele for Uganda and neighboring countries. A wide range of vocational and technical programmes are offered at Certificate and Diploma level and are apparently at higher demand in society. The current high demand of the vocational and technical programmes by the youths and society has been, however, against a strong stigma and belief that had been hitherto harbored by society for a long time, that vocational training was for the academically less endowed people. The trend is now fast changing in favour of vocational and technical training. The breakthrough registered in this area has seen YMCA Comprehensive Institute and other sister Institutes with whom YMCA Comprehensive Institute benchmark with in Uganda register numerous successes in this area. YMCA Comprehensive Institute is preparing to consolidate these achievements further by promoting the vocation programmes to a degree level in year 2014. The demand and aspirations by the youths and other stakeholders to receive the vocational and technical skills at an advanced (degree) level has been found out to be motivating and overwhelming. In view of the aforesaid, YMCA Comprehensive Institute’s bottom line and aspirations is to continue to offer vocational practical programmes that not only prepares Clienteles’ skills but also captures their mindset level as a strategy to contribute effectively to the development of the country. The gist of the matter lies in producing a fully-fledged Human capital ready for work and self-sustenance. Thus, YMCA Comprehensive Institute posts that, all possible avenues should be exploited to build the confidence of the Clientele (especially the youths) by motivating them to acquire more advanced vocational and practical skills as a way of not only minimizing unemployment in the country, but also as a strategy for contributing to the development of the country.